Professor Michael Gill (MD, MRCPsych FTCD) is Professor of Psychiatry and Head of School of Medicine at Trinity College Dublin. Between 2012 and 2017, he was Director and Principal Investigator of the Wellcome/HRB Clinical Research Facility at St. James’ Hospital that opened in 2013 . 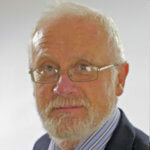 He is a Board Member of HRB Clinical Research Coordination Ireland (HRB CRCI) and a former Director of the HRB CRCI. He is the Director, and a grant holder, of the Wellcome-HRB Irish Clinical Academic Training (ICAT) programme, an all Island consortium of six Universities that appoints and trains clinician scientists across all specialities. He was appointed as Head of the School of Medicine at Trinity College Dublin in September 2017. His research interests have focused on the genomics of neuropsychiatric disorders.